The Sustainable Places Research Institute recently co-hosted a research seminar in collaboration with the School of Planning and Geography and the Welsh Government. Our guest speaker was Dr Imran Muhammad from Massey University, New Zealand who shared initial findings of three years research project on public transport challenges and opportunities in New Zealand cities. The presentation and subsequent discussion raised a number of interesting issues related to the role of public transport in environmental, social and economic sustainability, and the challenges of developing efficient and effective public transport in low density cities of New Zealand and Wales. Dr Muhammad used the example of Auckland, the largest city in New Zealand, while also mentioning other cities such as Wellington and Christchurch. He also referred to several small towns in New Zealand that are comparable in size and density to Welsh towns and cities. By the mid-20th century, Auckland’s public transport network – rail, tram and buses – was well developed and comparable to many other World cities. However, political decision in the mid-1950s changed the city’s transport focus from public transport to car travel. This occurred largely through investment in an urban motorway system, which ultimately led it to become one of the most car dependent cities around the world. Since 2000, a new and sustainable policy path has emerged in transport planning with focus on institutions, transport legislations, and clear transport policy directions at central and local government level. This path has been supported through managing urban growth in public transport oriented development, new urban design protocols, investment in public transport (both rail and bus) infrastructure and redesigning public transport services on a network planning basis. However, the new policy path is weak and does not guarantee sustainable transport in the future especially in the presence of existing path dependent policies, and institutional apathy to fund public transport projects. Moreover, the population in small towns of New Zealand continue to suffer from the lack of good public transport links. 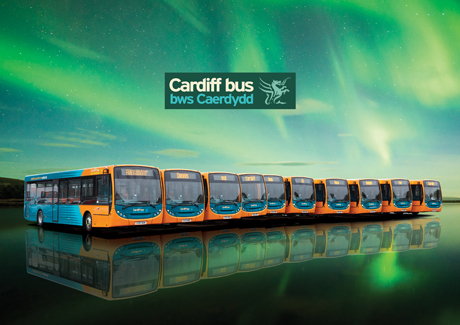 With the bus station located next to the train station, it seems that the revamped bus station would have a larger emphasis on shops, restaurants, apartments and offices than providing convenient bus connections to the passengers coming in or going out of Cardiff. Public Transit Services is focused on serving the collective interest of families through representation, education, advocacy, and transportation services. It has actually shown that how the towns with small populations were adversely hit by the lack of good and smooth transportation services in their very area. This article also showed the different shades of transportation in different eras.